All dogs deserve love - even the older pups. That is the message of Susie's Senior Dogs, a Facebook page and organization dedicated to finding forever homes for older dogs. 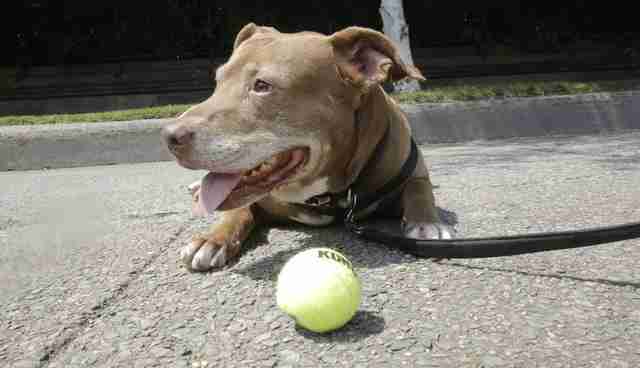 Susie's Senior Dogs posted recently about a pit bull named Joey, a nearly 8-year-old dog who has gotten zero adoption requests - while another pit bull puppy, just as sweet as Joey, has gotten over 40. 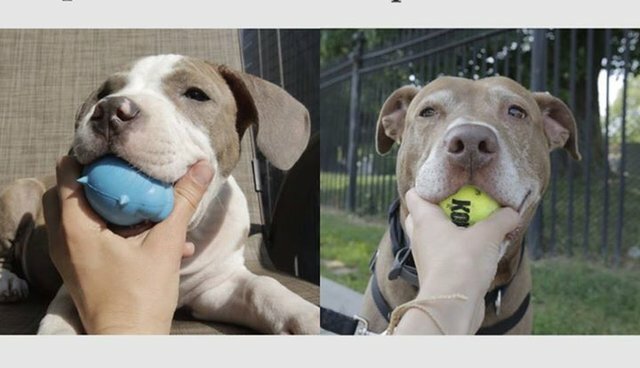 "These dogs are the same, yet they are different, but most importantly they are equal. And the level of interest scale is completely unbalanced--it's just not right," Susie's Senior Dogs posted on Facebook. While it's great news that the other puppy will be headed to his forever home soon, poor Joey still waits to be adopted. 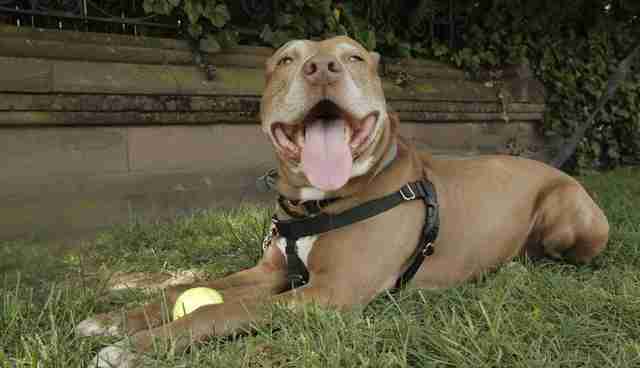 There is no reason this awesome dog shouldn't be able to find a family to love him. Joey has been without a home since October, and he is anxiously awaiting his forever home. Susie's Senior Dogs spent time with Joey and detailed his stellar personality. Joey has endless love to offer anyone who is able to take him in. He loves playing with toys, is a super quick learner, and is as gentle as can be. More than anything, Joey craves companionship - he just wants a friend he can love! If you're interested in giving a forever home to one of these awesome older dogs, follow Susie's Senior Dogs on Facebook. You can also check out Adopt-A-Pet for other amazing pets to add to your family.